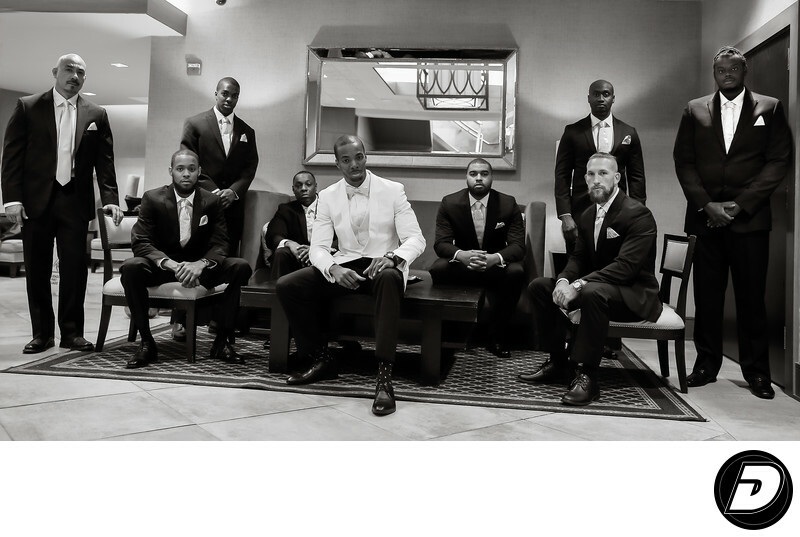 It was am amazing time spend watch Samson's and his eight groomsmen dressed themselves. Samson stood out in his white dinner jacket. This black & white wedding portrait was shot at Baiting Hollow Farm Vineyard in Calvertion, Long Island, New York. One of the most talked about destinations on Long Island’s East End, with great food and Long Island’s top entertainers on weekends which is open all year. A great sound system providing a cool vibe in what is always a warm and friendly place to shop, hang out, enjoy wine and eat. Location: 2114 Sound Ave, Calverton, NY 11933. 1/40; f/2.8; ISO 1250; 31.0 mm.